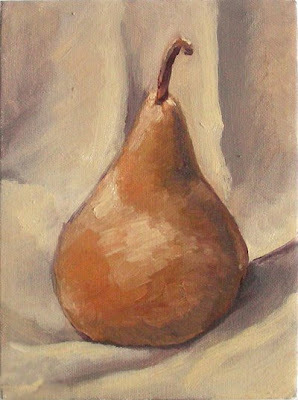 I've been wanting to paint some pears for quite a while, and this time we got to paint fruit, so I took the opportunity and did this monochromatic piece. I tend to use very little paint on the canvas, so this is my most painterly one yet! I want to paint some green pears soon.